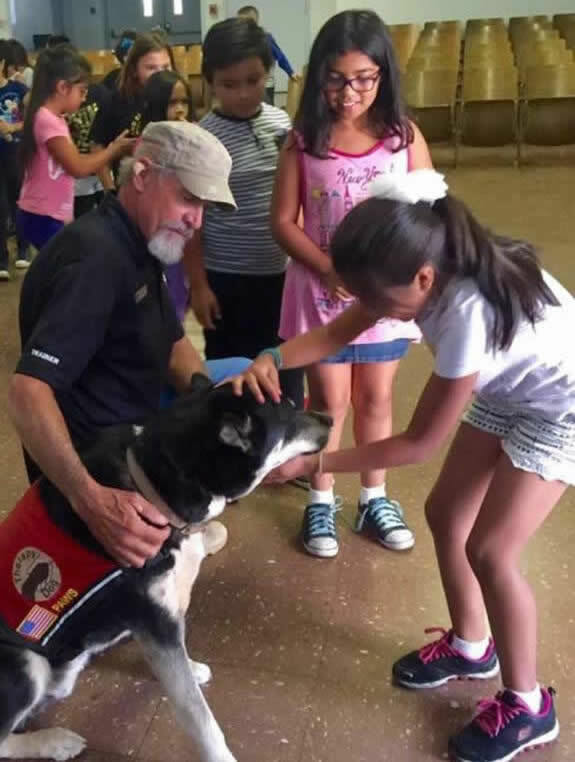 Our Certified Therapy Dogs will visit veteran’s, including but not limited to – nursing homes, assisted living, rehabilitation, therapy sessions, hospitals, hospice facilities, Vet Centers, our Equine Buddies Program and in their homes. The dogs are tested, certified, registered, and insured with Alliance of Therapy Dogs (ATD), a 28+ year old national organization. 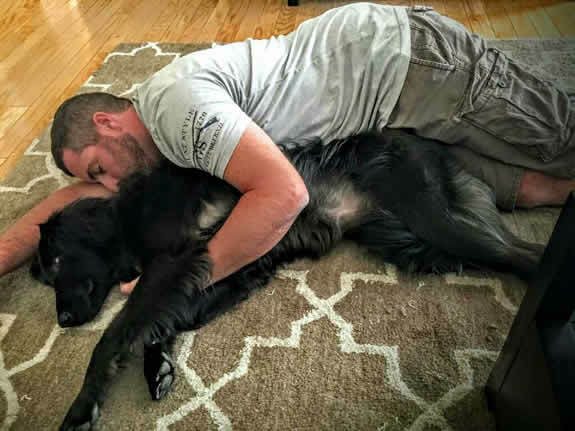 The purpose of an Emotional Support Animal (ESA) is to provide the Veteran with companionship and comfort to mitigate one or more symptoms relative to their psychological and/or emotional condition. This includes stress, anxiety, depression, PTS(d), TBI, and any pain or suffering they may be experiencing. 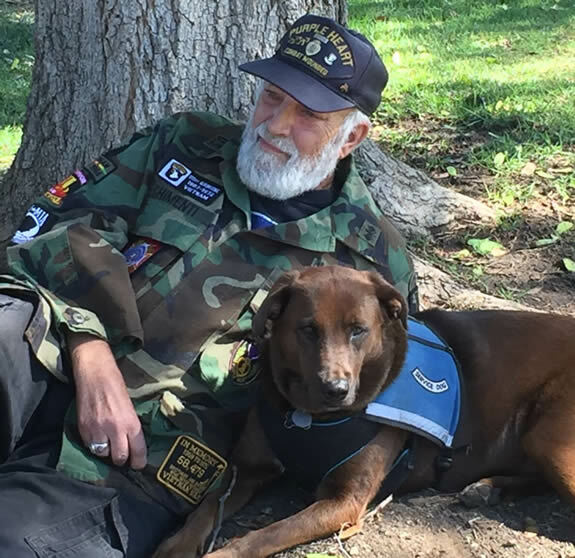 An ESA dog provides the Veteran with purpose so they are able to live more in the present than in the past. Waking the Veteran out of a nightmare. Guiding the Veteran out of stressful situations. Reminding the Veteran to take their medications. Each dog is trained to work and perform tasks for the Veterans specific disabilities.